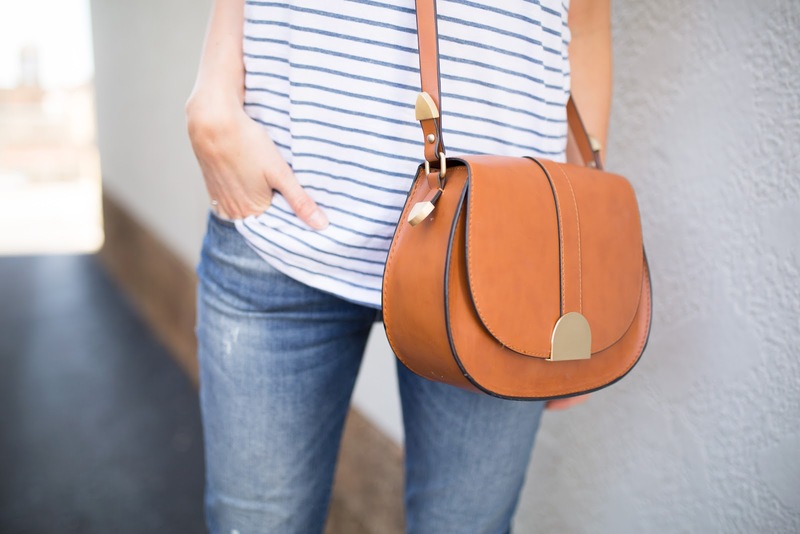 I usually gravitate toward more classic handbags that will be 'in style' for a long time, but a trend I can't get enough of is saddle-style bags! Chloe made these all the rage starting last spring, but the trend is even bigger now and there are some amazing and affordable options right now (they were hard to find for awhile)! I get questions about my Zara cross-body (pictured above) all the time, and though it's sold out, I did find a really similar option on their site. I just got this bag in the mail (in black) and it's gorgeous! You would never ever know it was Forever 21, and I'll definitely be wearing it all summer long. I also l-o-v-e this studded & embossed black saddle bag. Below are a few more options too!